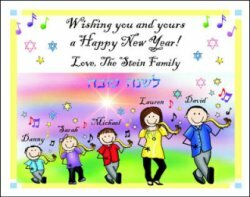 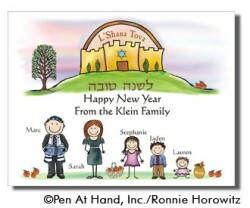 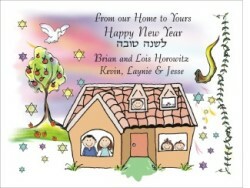 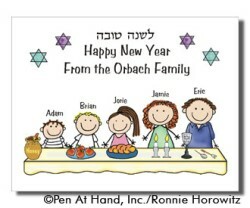 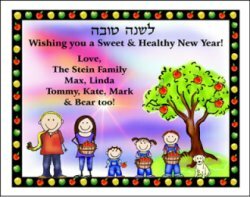 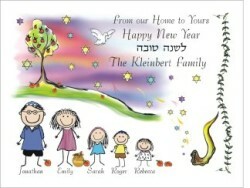 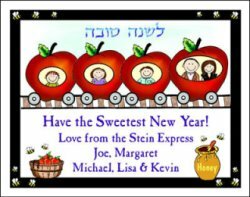 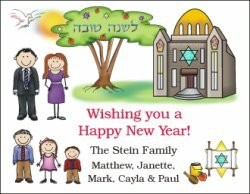 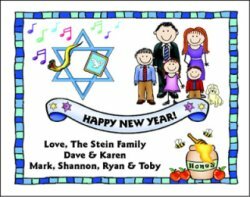 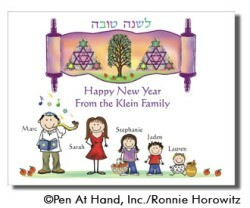 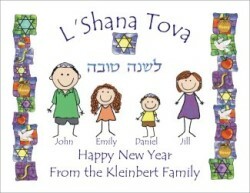 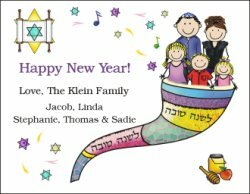 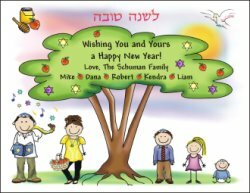 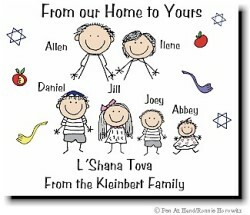 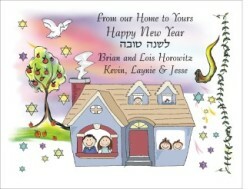 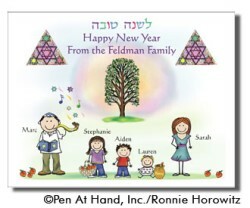 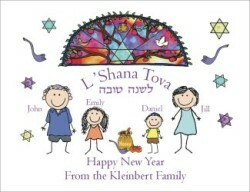 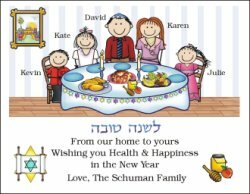 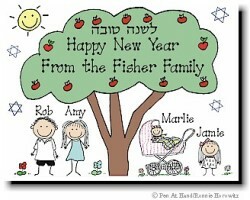 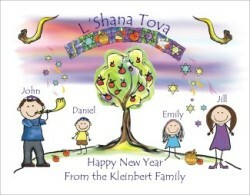 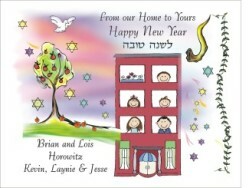 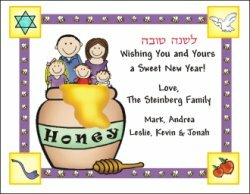 Customizable Jewish New Year (Rosh Hashanah) Cards by The Personal Note. 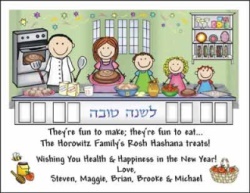 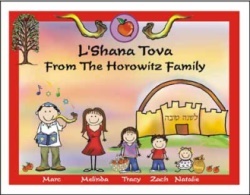 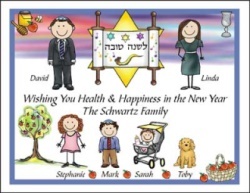 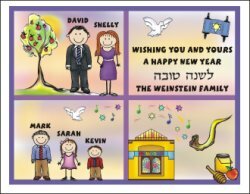 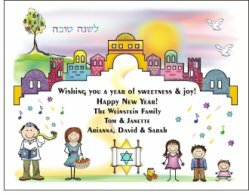 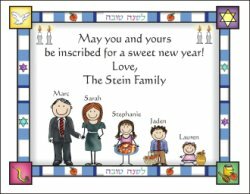 Use our Logo Sets and Character Faces to create your own special Rosh Hashanah Cards. 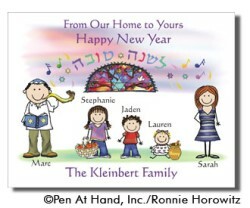 Full Color cards are available on smooth white cardstock only.